Author Cassandra Fallows has achieved remarkable success by baring her life on the page. Her two widely popular memoirs continue to sell briskly, acclaimed for their brutal, unexpurgated candor about friends, family, lovers - and herself. But now, after a singularly unsuccessful stab at fiction, Cassandra believes she may have found the story that will enable her triumphant return to nonfiction. When Cassandra was a girl, growing up in a racially diverse middle-class neighborhood in Baltimore, her best friends were all black: elegant, privileged Donna; sharp, shrewd Tisha; wild and worldly Fatima. A fifth girl orbited their world - a shy, quiet, unobtrusive child named Calliope Jenkins - who, years later, would be accused of killing her infant son. Yet the boy's body was never found and Calliope's unrelenting silence on the subject forced a judge to jail her for contempt. For seven years, Calliope refused to speak and the court was finally forced to let her go. Cassandra believes this still unsolved real-life mystery, largely unknown outside Baltimore, could be her next best seller. But her homecoming and latest journey into the past will not be welcomed by everyone, especially by her former friends, who are unimpressed with Cassandra's success - and are insistent on their own version of their shared history. 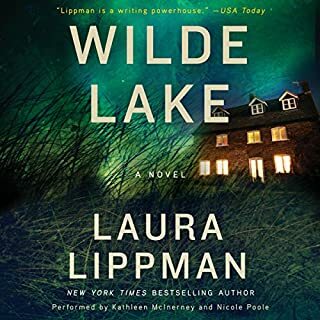 And by delving too deeply into Calliope's dark secrets, Cassandra may inadvertently unearth a few of her own - forcing her to reexamine the memories she holds most precious, as the stark light of truth illuminates a mother's pain, a father's betrayal . . . and what really transpired on a terrible day that changed not only a family but an entire country. 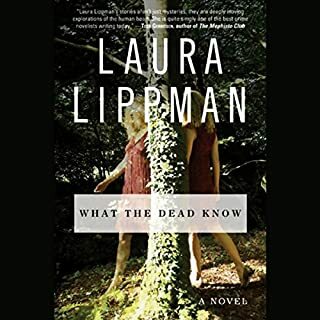 Laura Lippman's novel was good, really good, and had I not been driving, I would have read it on the page. But the reader took it to a 5. Linda Emond was perfect; she was interesting, had good variation in the voices and, remarkably, did not feel the need to overact. And she knows how to pronounce English words, something many professional narrators seem singularly unable to do. 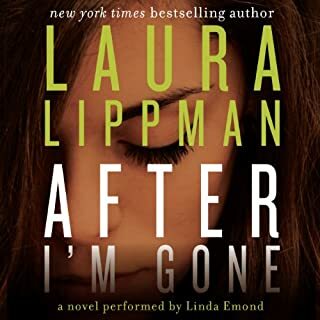 I'll be buying the book to read for myself, and will be actively searching for more narrations by Linda Emond. 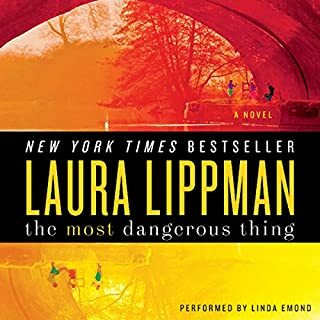 Linda Eamond is an outstanding narrator and takes the slice of life novel that covers from Baltimore from the 1960's to the present,and presents a riveting story. I was at first dissapointed that I hadn't chosen a 'Tess Monaghan' mystery -- but this was so well written and presented that the slower story line didn't disapoint me. It took a little while to get started, but once the story started to roll, it was great. I think the Narrator did a wonderful job! Very interesting story based in a richly complicated Baltimore which becomes as much of a character in the book as the protagonist. There is a central mystery that propels the story with a healthy momentum, however by the end we are more interested in the characters and where life has lead them. Interracial friendships and relationships are deftly handled without shying away from their stickiness. The reader has a good, unobtrusive voice. My only complaint is the ridiculous electric keyboard splices between chapters which interrupt the momentum of the book, have nothing to do with the mood of the story and just have to go. I felt bad for the author every time they kicked in. Still, a good book, a good audible experience. 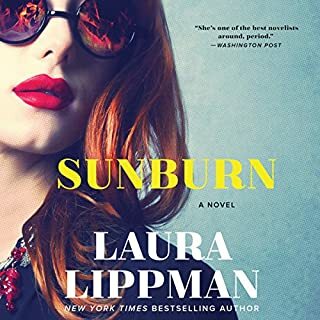 I love Laura Lippmann and I'm glad she's so prolific. Her plots are interesting, but her characters are totally involving and many layered. Plus she's brave to write on such a touchy subject, race. She's the only "mystery" writer who, for me, approaches Ruth Rendell in terms of craft. Ive liked all the books, both "Tess" and non-Tess (my favorite is still "I'd Know You Anywhere.") Linda Emond is her perfect partner. A subtle, marvelous reader. 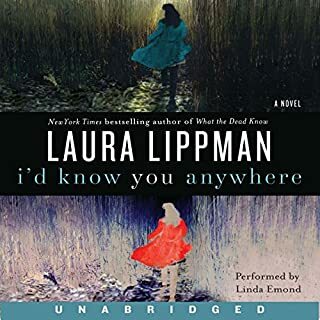 I am a Lippmanite, except for "Don't Look Back", she has managed to keep me engrossed in everything I have read from her so far. 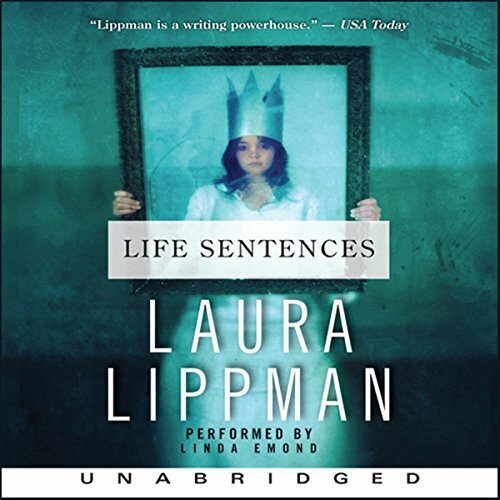 "Life Sentences" is another one of her works of art. Liked the book a lot. Fortunately I had the kindle edition, too, because the audible edition was absolutely awful. Never again. This story was slow and boring. I like Laura but sometimes she can be long-winded. There's not a lot of dialogue as much as there is summarization of thoughts throughout the whole book. Characters say one sentence, then the rest of the chapter is random thoughts about that sentence. I also like Linda Emonds voice, it's pleasant. But there are no voice changes between characters. Overall this was a boring story. this book failed to make me care about the plot and/or characters. try middlesex, water for elephants, riding lessons, flying changes, a thousand splendid suns.